Established in 2005, Stone and Style manufactures various cement and concrete precast products. View our product range here. 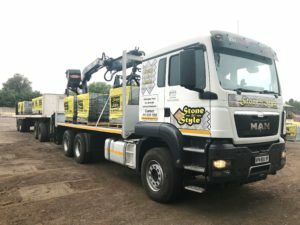 Based in Witbank/Middelburg, Mpumalanga, Stone and Style are known as expert manufacturers in the paving, bricks and cladding field and are proud of their reputation for beautiful, high quality products. All our products are manufactured using SABS approved materials and are laboratory tested for strength. View our SABS Certificate here.